Kill Winter with Orange! 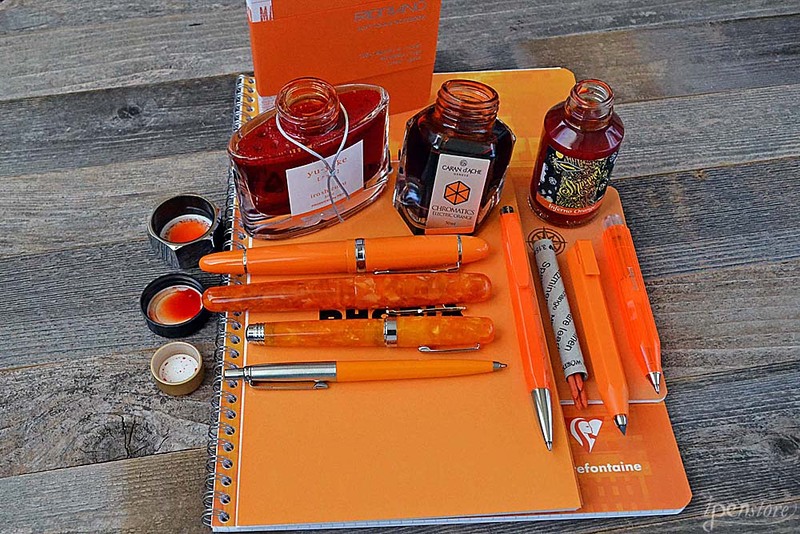 This February we chose to go with an orange theme for our popular iPenBox- inspired by our friend @RandomThinks on Instagram to celebrate his annual #KillWinterwithOrange tribute, and we are really getting into the spirit of it! When you live in the Midwest, winter really gets old this time of year. We experience winter conditions here in Michigan starting in October and winter conditions tend to stick around here some years through April. Needless to say, by February we are feeling DONE with it. We are hardy Michiganders, so we press on, and #KillWinterWithOrange helps to brighten our outlook! To celebrate #Killwinterwithorange, we picked out some of our favorite ORANGE PRODUCTS here at iPenstore- scroll down and enjoy! 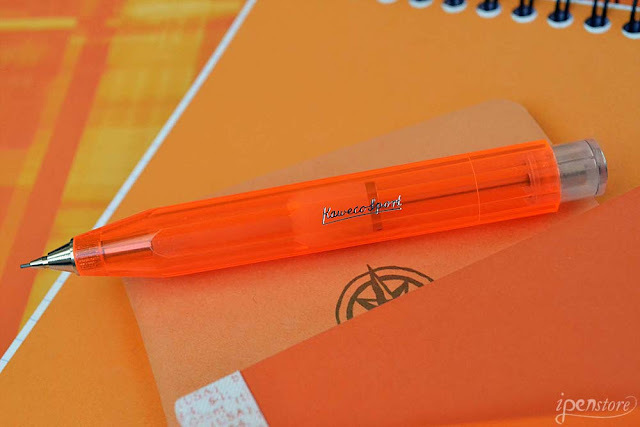 Rhodia #16 Notepad 5.8 x 8.3 "
Our compact Napoleon pocket ballpoint pen also comes in rollerball! When capped the pen is 4-1/2 inches to easily fit in a pocket or purse. Posted the Napoleon is a full sized 5-1/2 inches. 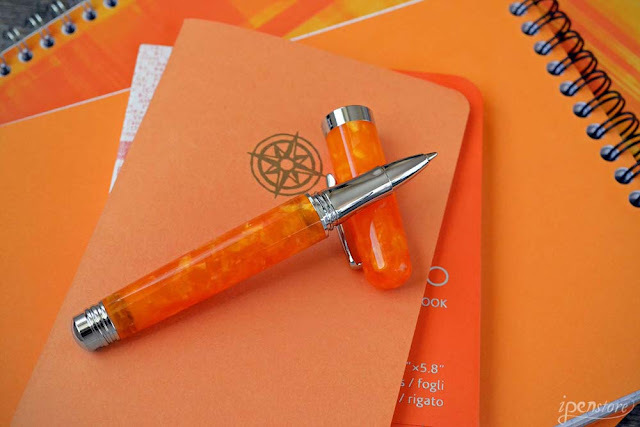 Our Rosetta Pencil Extender comes in a cheerful yellow orange with silver diamond-cut knurled grip. Need a mechanical pencil? Worther Shorty makes a chunky sketch pencil that holds a 3.15 mm lead in all colors of the rainbow. The Kaweco Ice Sport translucent mechanical pencil has an octagonal barrel- its compact size and 1/2 barrel feels just right in your hand. Are you looking for a beautiful orange ink that glows like the sunset over the Caribbean Sea? 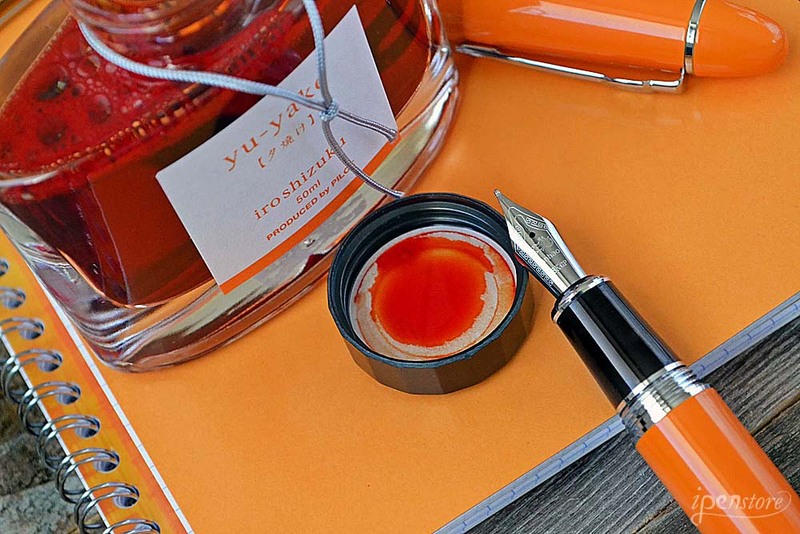 Look no further than Pilot Iroshizuku Yu-Yake. 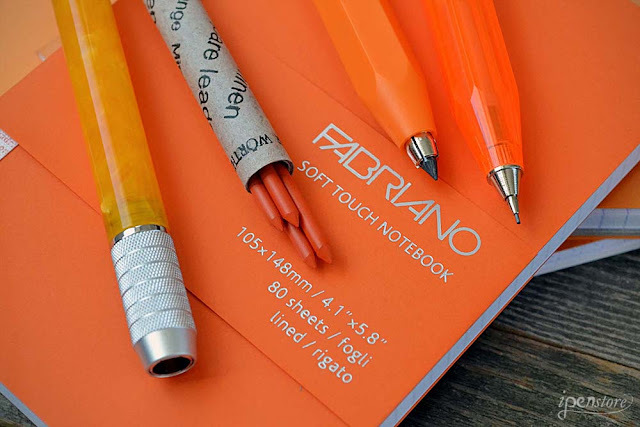 Energetic and cheerful, this ink is known for its amazing shading from a dark orange to a bright yellow. The Jinhao 159 is a large fountain pen that consistently gets great reviews from users. It's an extremely affordable pen at under $10 and a great choice for a beginner's fountain pen. Now here I thought it was kill winter with orange as in: Kill the flu/germs and have an orange/orange juice. LOL. I am ready for spring! Thank you again for a wonderful iPenBox!! !